Last year's Yellow Fever epidemic in Brazil was the worst in years, with the virus turning up in urban areas that had not experienced outbreaks in decades (see Brazil: Yellow Fever Updates From The MOH, The CDC, and University of Wisconsin). Complicating matters, there is serious shortage of the Yellow Fever Vaccine (see CDC Announcement: Yellow Fever Vaccine Access) which is expected to continue well into 2018. In November a WHO update noted 2 recent human infections in São Paulo, along with 580 epizootics in non-human primates reported since the previous July. Today, they are reporting increased levels of yellow fever activity across São Paulo, and have issued a recommendation that international travelers to that state get the yellow fever vaccine. This is an update to the WHO advice posted in the Disease Outbreak News of 27 January 2017, 6 March 2017, 20 March 2017, 4 April 2017, and 24 November 2017; and on the WHO International Travel and Health website on 31 January 2017, 14 February 2017, 6 March 2017, 17 March 2017, and 4 April 2017. Since December 2016, Brazil is experiencing an upsurge of yellow fever virus activity. Between 1 December 2016 and 30 June 2017, 1,659 epizootics in non-human primates were registered in 21 states (Alagoas, Amazonas, Bahia, Goiás, Espírito Santo, Mato Grosso, Mato Grosso do Sul, Minas Gerais, Pará, Paraíba, Paraná, Pernambuco, Rio Grande do Norte, Rio Grande do Sul, Rio de Janeiro, Rondônia, Roraima, Santa Catarina, São Paulo, Sergipe, and Tocantins), and in the Federal District; a total of 777 human cases were reported, including 261 fatal, in eight states (Espírito Santo, Goiás, Mato Grosso, Minas Gerais, Pará, Rio de Janeiro, São Paulo, and Tocantins), as well as in the Federal District. On 9 September 2017, the government of Brazil declared that seasonal yellow fever virus activity has subsided. 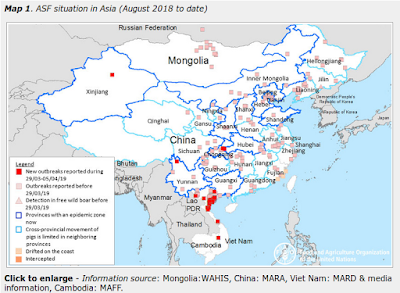 Following the 2017 winter season in the Southern hemisphere, an increased yellow fever virus activity was again observed. Between 1 July 2017 to 8 January 2018, yellow fever virus infection was confirmed in relation to 358 epizootics in non-human primates in the states of Mato Grosso do Sul (0.3% of cases), Minas Gerais (9%), Rio de Janeiro (0.7%), and São Paulo (90%). As of 8 January 2018, 687 epizootics were under investigation for yellow fever in 17 states (Alagoas, Bahia, Goiás, Espírito Santo, Mato Grosso, Mato Grosso do Sul, Minas Gerais, Pará, Paraná, Pernambuco, Rio Grande do Norte, Rio Grande do Sul, Rio de Janeiro, Santa Catarina, São Paulo, Sergipe, and Tocantins), and in the Federal District. Over the same period of time, yellow fever virus infection was laboratory confirmed in 11 human patients, including four who died, from the states of Minas Gerais (one fatal case), Rio de Janeiro (one case), São Paulo (8 cases, including two fatal), and the Federal District (one fatal case). As of 8 January 2018, 92 additional human cases were under investigation for yellow fever virus infection in 15 states (Bahia, Goiás, Espírito Santo, Mato Grosso do Sul, Minas Gerais, Pará, Paraíba, Paraná, Pernambuco, Piauì, Rio Grande do Norte, Rio Grande do Sul, Santa Catarina, São Paulo, and Tocantins), as well as in the Federal District. The determination of new areas considered to be at risk for the yellow fever transmission is an ongoing process and updates will be provided regularly. For 2017, updates on country requirements for the International Certificate of Vaccination or Prophylaxis, with proof of vaccination against yellow fever, and WHO vaccination recommendations for international travellers, are available on the WHO International Travel and Health website: Annex 1 and country list . More specific information about requirements for the International Certificate of Vaccination or Prophylaxis, with proof of vaccination against yellow fever, implemented by Member States related to the current situation in Brazil in the Region of the Americas is available on the PAHO yellow fever website.